CAMP PERRY, OH – The Civilian Marksmanship Program’s (CMP) State Directors from around the country met for a weekend of fellowship and fun at the State Director Workshop October 3-4 in the Gary Anderson CMP Competition Center at Camp Perry. A group of 43 directors attended the weekend. CAMP PERRY, OH – The Civilian Marksmanship Program (CMP) will once again award exemplary student-athletes in their future endeavors through its annual scholarship program for the 2015-2016 school year. The CMP offers $1,000 one-year scholarships based on merit and rifle or pistol marksmanship affiliation to current high school seniors. The Civilian Marksmanship Program (CMP) is proud to announce that five of its Summer Camp counselors earned slots on the World Championship team that competed in Granada, Spain, September 6-20 at the 51st International Shooting Sports Federation (ISSF) World Championship. CAMP PERRY, OH – A new and enticing match for all ages, the CMP Monthly Pneumatic Air Rifle Bench League provides the excitement of a long-distance match from the comfort of a climate-controlled indoor air rifle range. Competitors fire from a bench rest while seated towards our state-of-the-art electronic targets. Marksmen may choose to fire with aperture receiver sights or a scope with a Weaver base. CAMP PERRY, OH – The Civilian Marksmanship Program’s (CMP) State Directors from around the country will meet for a weekend of fellowship and fun at the State Director Workshop, being held October 3-4 in the CMP Headquarters at Camp Perry. The State Directors of each of the 50 states are appointed to provide leadership, coordination, networking, motivation and publicity for junior shooting in their geographic areas. The purpose of the Workshop is to inform each director of the current activities and inner-workings of the CMP, in order to inspire each to integrate positive ideas and guidance into his or her home programs. The 6th Annual Dixie Double Air Rifle and Pistol Competition will be fired November 21-23 at the world-class CMP South Range in Anniston, Ala. The match is open to both men and women, as well as junior competitors. With regular participation from the Army Marksmanship Unit, the Dixie Double is an opportunity to stand on the firing line amongst some of the best marksmen in the country. Air rifle marksmen of all ages are invited to participate in one of the Civilian Marksmanship Program’s (CMP) most popular events of the year. The 2014 Gary Anderson Invitational will be held December 5-6 at the CMP South Range in Anniston, Alabama, and December 6 at the newly expanded Gary Anderson CMP Competition Center in Camp Perry, Ohio. The 2014-2015 JROTC Postal Competition will officially open on Oct. 1, 2014 for young cadets in the Army, Navy, Marine Corps and Air Force JROTC programs who would like to go score-to-score in this three-position match with other talented shooters across the nation. Through each choice she has made in her lifetime, Marisca Mozeleski, 22, has carried herself on an incredible journey. Growing up in Vashon, Wash., Marisca gained a passion for marksmanship that would eventually open remarkable doors to the world. As a high school student, she knew she wanted to fire collegiately but, of course, had no idea where. Though it was inevitable whichever path she chose guaranteed a variety of experiences, she couldn’t have predicted just how far her college decision would take her. For over a decade, the CMP Junior Air Rifle Camps have been a popular destination for junior marksmen during the summer. High-school age (9-12 grade) athletes learn intermediate and advanced air rifle marksmanship skills through various exercises and demonstrations. Throughout the course of the camp, juniors learn tips for both the physical and mental aspects of competition shooting, including positioning, goal setting and proper use of equipment. The Civilian Marksmanship Program’s newly added Monthly Match League has now completed its fourth month, allowing some of its leading competitors to surface. Monthly Matches were held at the South CMP Marksmanship Center in Anniston, AL, as well as the Gary Anderson CMP Marksmanship Center at Camp Perry, OH, in March, April, May and September. Competitors must fire in four or more matches to be eligible for league prizes. The final two Monthly Matches are scheduled for October 18 and November 15. ANNISTON, AL – The Civilian Marksmanship Program is mourning the passing of a friend and legal counsel, Michael Saporito, 76, of Winter Springs, Florida. Mr. Saporito passed away on September 3, 2014 after a brief illness. The 2014 Prone Smallbore State Championship results are in the books. The last smallbore prone match of the year on the Minneapolis Rifle Club's (MRC) schedule was held August 23 and 24 at the Bob VanJean Small Bore facility at MRC. It turned out to be a great event with a full line on Saturday for the Iron Sight matches. The range was in great shape as usual thanks to the hard work of George Minerich and others. For a group of juniors from Virginia, a routine outing left them thinking outside of the box, or rather, outside of the air range. With open minds and a fearless leader, they stepped outside and into the unknown – the domain of highpower. Maj. Mike Darnell is the junior highpower program director for the Virginia Shooting Sports Association (VSSA). He began as the air rifle coach for the Brooke Point High School Navy Junior Reserve Officer Training Corps (NJROTC) in Stafford, VA, before a trip to the United States Marine Corps base in Quantico, VA, with four of his shooters for a community service project opened an entirely new marksmanship perspective. Public shooting is now open at the Civilian Marksmanship Program’s (CMP) world-class air gun facilities in Camp Perry, OH, and Anniston, AL. All ages and genders are welcome and urged to take a “shot” at the rousing world of shooting from our safe and fun indoor ranges. The 10th edition 2014-2016 National Standard Three-Position Air Rifle Rules, with an effective date of 1 September 2014,has just been released. The National Three-Position Air Rifle Council, the governing body for almost all three-position air rifle competitions in the USA, issues new “National Standard Rules” every two years. Council members include The American Legion; the Army, Marine Corps, Navy and Air Force JROTC Commands; BSA; CMP; Crosman Shooting Services; the Daisy Shooter Education Program; 4-H Shooting Sports and USA Shooting. TALLADEGA, AL – Civilian Marksmanship Program Chairman, Judith Legerski, of Lander, Wyoming, purchased the first 8”x8” commemorative granite paver for placement at the organization’s new 500-acre marksmanship park, slated for opening in the spring of 2015. CAMP PERRY, OH – A place for excelling in competition, the National Matches at Camp Perry have also gained the reputation of being a place to find the tools to reach that excellence. On July 15-17, a group of 52 men and women attended the Civilian Marksmanship Program’s (CMP) Remington Advanced Highpower Clinic in the hopes of incorporating even more rifling wisdom into their competitive routines. PHOENIX, Ariz. – The 11th Annual Western Civilian Marksmanship Program (CMP) Games and Creedmoor Cup Matches will return to the Ben Avery Shooting Facility Oct. 10-29, 2014 to a growing crowd of enthusiastic competitors. New and experienced marksmen alike are welcome to participate in these recreation-oriented competitions. 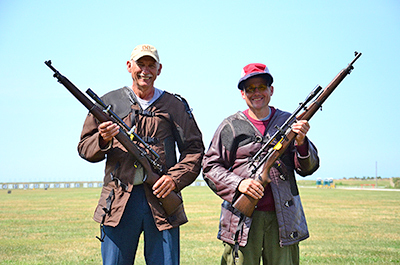 CAMP PERRY, OH – Shifting winds made for an exciting finish to the always-anticipated President’s Rifle Match, fired on July 22 at the National Matches. A group of 1,126 competitive marksmen ascended the firing line at Camp Perry for a chance to become members of the historic President’s Hundred or even receive his or her name engraved on the esteemed President’s Rifle Trophy. CAMP PERRY, OH – On July 20, for only the third time in the event’s 92-year existence, a civilian team outshot the rest in the National Trophy Infantry Team (NTIT) match. Nicknamed the “Rattle Battle” for the quick strings of rapid fire the match demands, the NTIT hosts civilian, junior and military teams – requiring an astounding amount of concentration and camaraderie for success. CAMP PERRY, OH – The National Match Air Events Matches were held July 6-23 in the newly dedicated Gary Anderson CMP Competition Center. The center is a world-class facility, housing 80 firing points with electronic targets, classrooms, large reception and common areas, several large screen televisions, elaborate modern architecture and display cases filled with authentic memorabilia from the unparalleled career of Gary Anderson. CAMP PERRY, OH – Through the rainy mist of July 19, a swarm of 1,080 competitors fired in the As-Issued John C. Garand Match at the 2014 National Rifle Matches at Camp Perry. Though marksmen fought through foggy glasses and wet triggers during the rainy morning, the soggy weather eventually subsided to clear skies to the always-eager Garand crowd. CAMP PERRY, OH – Each year, the National Trophy Individual (NTI), National Trophy Team (NTT) and National Trophy Junior Team matches become three of the most telling events during the competition season: sifting out which teams and individuals have earned the right to be named the best of the year. CAMP PERRY, OH – On July 18, neatly placed sand bags greeted hundreds of competitors at each firing point as they readied themselves to compete in the CMP Games Vintage Sniper Match. A group of 470 individuals fired in the event. CAMP PERRY, OHIO – GLOCK, Inc. has contributed $50,000 to the Civilian Marksmanship Program in support of its new CMP Talladega Marksmanship Park, which opens in the spring of 2015. The contribution is the first of three annual donations GLOCK Inc. has pledged to the CMP to benefit its new shooting sports park in Talladega County, Alabama. An oversized ceremonial check, in the amount of $50,000, was presented by Bob Radecki, GLOCK Inc. national sales manager, to Orest Michaels, CMP chief operating officer, in front of a receptive crowd at the 2014 National Trophy Rifle awards program Wednesday, 23 July in Camp Perry’s Hough Auditorium. CAMP PERRY, OH – Under sunny skies and pleasant conditions, the extremely popular Small Arms Firing School (SAFS) was held July 16-17 during the National Trophy Rifle Matches at Camp Perry. More than 460 new and experienced marksmen attended the course. CAMP PERRY, OH – On July 15-17, a group of 147 junior marksmen gathered at Camp Perry to take part in the Civilian Marksmanship Program (CMP)/United States Marine Corps (USMC) Junior Highpower Clinic. The course is designed to enhance rifle knowledge and skill, both mechanically and during competition. Juniors just beginning their rifling careers and those looking to further develop their abilities participate in the course year after year. CAMP PERRY, OH – On the morning of July 18, a throng of over 500 eager marksmen dug their feet into the dirt of the firing line on Camp Perry’s Viale Range to earn the right to be called champions of the 2014 Hearst Doubles Match. This year, the match hosted 269 teams on the firing line. CAMP PERRY, OH – The 2014 National Trophy Pistol Match Season began with a little stretching of the mind and loosening of the competitive muscles as the Pistol Small Arms Firing School (SAFS) and Service Pistol Warm-Up Matches readied competitors for the week ahead. CAMP PERRY, OH – SFC James Henderson, 47, of Midland, GA, was the overall winner of the match, firing a 387-28x. Henderson currently holds the record score for the event with a 393-17x, set in 2009. 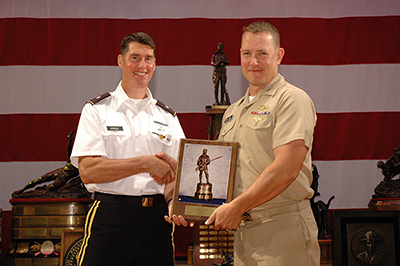 With his win, Henderson will receive his name engraved on the President’s Pistol Trophy – on permanent display at Camp Perry. CAMP PERRY, OH – The National Trophy Individual (NTI) Pistol Match has been cemented at the National Matches since its second year of existence, in 1904, and is undoubtedly one of the most elite and renowned events offered during the National Match season. Remaining a popular match, over 450 competitors participated in this year’s NTI, fired on July 13. CAMP PERRY, Ohio – One of the many elements that make the National Trophy Rifle Matches a celebrated and respected event in the firearm community is its lineup of notable and revered matches. Two such matches that have continued to bring throngs of competitors and spectators for over a century are the President’s Rifle Match, fired on July 22, and the National Trophy Individual Match, following on July 23. CAMP PERRY, OH – The Civilian Marksmanship Program’s (CMP) ceremonial First Shot Ceremony on July 7, 2014 at Rodriguez Range in Camp Perry, OH, celebrated more than the beginnings of the National Matches – it also commemorated the sacrifices of America’s Greatest Generation. The date of the ceremony coincidentally fell on the day two significant World War II battles transpired, sparking the need to honor the overlapping historical moments through words, sights and reenactments. CAMP PERRY, OH – On July 7, 2014, the Civilian Marksmanship Program (CMP) celebrated a monumental marker in its history with the dedication of the new Gary Anderson CMP Competition Center, located within Camp Perry in Port Clinton, OH. Around 450 guests toured the center throughout the day to see the state-of-the-art electronic air gun range, modern architecture and design, as well as display cases that feature authentic memorabilia from the many accomplishments of the center’s namesake, Gary Anderson. CAMP PERRY, Ohio – One of the most popular events of the Civilian Marksmanship Program’s (CMP) National Rifle Matches is always the Rimfire Sporter Match, fired this year on August 2 at Camp Perry. The match is perfect for first time shooters, to prepare them for competition-style shooting, as well as experienced marksmen looking to rekindle a nostalgic connection with a .22 rifle. CAMP PERRY, OH – Junior air rifle competitors and supporters from around the country ventured to the new Gary Anderson CMP Competition Center June 24-28 to compete at the USA Shooting National Junior Olympics, as well as the Civilian Marksmanship Program (CMP) Three Position Air Rifle Championships. The week marked the end of a competitive expedition that began in November and was the last opportunity for some competitors at air rifle glory. CAMP PERRY, Ohio – Rifle enthusiasts looking for a match that brings the challenge of fast, accurate firing and strong communication skills should consider signing up for the National Trophy Infantry Team (NTIT) match at the 2014 National Trophy Rifle Matches. The event will be fired on July 20 on the historic ranges of Camp Perry, Ohio. CAMP PERRY, Ohio – With over 1,000 competitors each year, the John C. Garand Match is arguably the most popular Civilian Marksmanship Program (CMP) Games Match offered during the National Trophy Rifle Match season. Once again this year, marksmen from around the country and the world will meet amongst fellow enthusiasts on July 19, 2014 to fire one of the most historical rifles ever built, for a day of camaraderie and enjoyment. CAMP PERRY, Ohio – As part of the Civilian Marksmanship Program’s (CMP) Games events during the 2014 National Trophy Rifle Matches, the Springfield-Vintage Military Rifle Match will be fired July 19 and 20 on the historic ranges of Camp Perry, Ohio. All are welcome to watch or even participate in one of our most popular Games competitions. CAMP PERRY, Ohio – Those looking for an opportunity to compete in a fun and challenging rifle event should strongly consider registering for the M1 Carbine Match, to be fired on July 21, 2014. The match will be part of the popular Civilian Marksmanship Program (CMP) Games Events during the National Trophy Rifle Matches at Camp Perry and is a valuable test of a shooter’s accuracy and endurance. CAMP PERRY, Ohio – The Civilian Marksmanship Program (CMP) has built itself on the sale of historical rifles and creating the competitions where they can be fired. Coinciding with those ideals, the CMP is offering a clinic for the overall care and match use of these popular rifles for competitors and enthusiasts alike. CAMP BUTNER, NC – In May, over 400 competitors traveled to the beautiful wooded lands of North Carolina to compete in the 7th annual Eastern CMP Games at Camp Butner. The event combined popular CMP Games rifle matches with exciting pistol matches and clinics for new and experienced marksmen to hone their skills. CAMP PERRY, Ohio – In recognition of the heroism many soldiers displayed 70 years ago to the day, at the Battle of Saint Lo in Normandy, France, and the Battle of Saipan in the South Pacific, the Civilian Marksmanship Program (CMP) will be bringing the sights and sounds of these great conflicts to the shores of Lake Erie at 10 a.m. on Monday, July 7, 2014. Please join us at the ranges of Camp Perry in Port Clinton, Ohio, as we merge the great sacrifices of veterans everywhere with the friendly rivalry of marksmanship competition. CAMP PERRY, Ohio – The Civilian Marksmanship Program (CMP) invites men, women and children of all ages to attend a Dedication Ceremony of its newly-expanded Gary Anderson CMP Competition Center, located in historic Camp Perry in Port Clinton, Ohio. Join us as we tour the modern architecture and flowing walkways, glass cases of authentic Olympic memorabilia and the advanced technology of our indoor air gun range within the multi-million dollar complex. ANNISTON, AL – In only eight months of operation, the CMP Custom Shop has preserved, repaired and upgraded an impressive number of USGI-issue rifles. Since it first began in October 2013, the shop has received 434 return authorizations (work orders) in total, with 345 rifles having been completed and returned to customers and over 40 sitting on the rack waiting to be serviced, not to mention over 40 currently on their way to the store. CAMP PERRY, Ohio – Competitors looking for additional pistol or rifle opportunities during the National Rifle and Pistol Matches, as well as an escape from the heat of summer, are urged to consider the Civilian Marksmanship Program’s (CMP) series of air rifle and air pistol events throughout the month of July in our air-conditioned, world-class Gary Anderson CMP Competition Center. CAMP PERRY, Ohio – Junior shooters looking for a challenging and prestigious team event during the National Trophy Rifle Matches at Camp Perry are encouraged to sign up for the National Trophy Junior Team Match (NTJT), to be fired July 18, 2014. Each year, the NTJT provides an environment for intense competition and comradery among some of the best junior shooters in the country. CAMP PERRY, Ohio – Rifle marksmen looking for a challenging service rifle team match are encouraged to sign up for the Hearst Doubles Match, firing on July 18, 2014, at the National Trophy Rifle Matches. The Hearst Doubles began in 2006 and has become one of the most popular and prestigious events during the CMP National Matches. Two-person teams fire a 30-shot course of fire in standing and prone positions from 200, 300 and 600 yards, using service rifles. Match winners will receive their names on the William Randolph Hearst Trophy. CAMP PERRY, Ohio – One of the newest and most exciting events at the Civilian Marksmanship Program (CMP) National Games Matches that has quickly gained popularity among the shooting community is the Vintage Sniper Rifle Team Match, being fired at this year’s event on July 18, 2014. CAMP PERRY, Ohio – After seven months of hard work and concentration, over 300 sporter and precision air rifle juniors will meet on the firing line for one final test to ultimately determine who are the best marksmen in the country. The 2014 CMP National Three Position Air Rifle Championships will be held June 23-25 and June 26-28 at the new Gary Anderson CMP Competition Center in Camp Perry, Ohio. ANNISTON, AL – For 20 of the luckiest enthusiasts from around the country, June 4-6 was a dream come true. 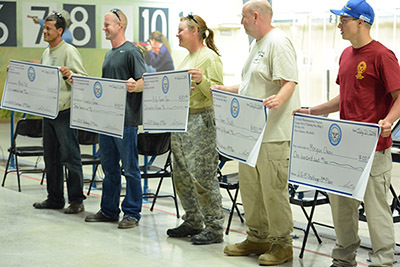 These rifle fanatics were the chosen ones – those who destiny selected to attend the highly sought after Advanced Maintenance Clinic, held in the new Civilian Marksmanship Program (CMP) Custom Shop in Anniston. CAMP PERRY, Ohio – The National Trophy Rifle Matches is not only a place where the most talented marksman in the world are named, it’s also where they are made. Training clinics such as the CMP-USMC Junior Highpower Rifle Clinic, set to take place July 15-17, are plentiful during the Matches to further develop the already gifted shooters who visit Camp Perry. CAMP PERRY, Ohio – Parallel to the CMP-USMC Junior Highpower Clinic, an advanced rifle course is also available during the National Matches for any competitive shooter interested in evolving his or her skills. The clinic will be held July 15-17, before the start of the highpower events. ANNISTON, ALABAMA – Following a comprehensive management succession plan, the board of directors of The Corporation for the Promotion of Rifle Practice and Firearms Safety, commonly known as the Civilian Marksmanship Program (CMP), has announced the upcoming retirement of Chief Operating Officer, Orest Michaels, effective 19 September, 2014. TALLADEGA, AL – Construction continues at the CMP Talladega Marksmanship Park as Phase I has reached 95 percent completion. The first phase is expected to be complete in September 2014. The Civilian Marksmanship Program (CMP) is offering a unique opportunity for all to become permanently a part of our expanding history at the Talladega Marksmanship Park by allowing interested persons to become imprinted into the ground of our groundbreaking park through our CMP Paver Project. CAMP BUTNER, NC – For one Ohio family, the Eastern Games came a little sooner than expected – mainly since they didn’t even know that the event, or the Civilian Marksmanship Program (CMP), for that matter, existed until a few days before it began. And so started a remarkable adventure for the Morrow family that they won’t soon forget. CAMP BUTNER, NC – Mike Barletta needed a little push from his son to make it to the firing line at the Eastern CMP Games in May. It wasn’t nerves of competition or the fear of failure that made it hard for him to approach it, but rather, it was the grass. It’s tough to maneuver through when you’re in a wheelchair. MONTROSE, CO – Recently, the Civilian Marksmanship Program (CMP) donated nearly 15,000 pieces of scrap brass to a project that resonates the solemn sound of loss and the triumphant ring of liberty within the air. The dedicatory project has guaranteed that our servicemen and women will be commemorated with each gust of wind – chime and chime again. Four Army ROTC units from Ohio universities competed in the 2014 U.S. Army ROTC Postal Match, Dec. 1, 2013 through March 14, 2014. Competitors fired sporter rifles on CMP supplied targets and mailed in their results to Headquarters for scoring. CAMP PERRY, Ohio – Learn how to fire a real M16 rifle in a safe and relaxed environment at the Civilan Marksmanship Program’s (CMP) Rifle Small Arms Firing School (SAFS), held Wednesday, July 16-17, during the National Rifle and Pistol Matches at historic Camp Perry. CAMP PERRY, Ohio – Spectators and competitors are invited to witness the excitement and fierce competition at the National Trophy Pistol Matches, being fired on July 13, 2014 at Camp Perry. A total of 24 National Trophies are earned by talented teams and individuals each year in such highly regarded events as the President’s Pistol Match, National Trophy Individual Match and the National Trophy Team Match. CAMP PERRY, Ohio – Once again this year, the Civilian Marksmanship Program (CMP) will offer a Garand – Springfield - Military Rifle (G-S-M) Master Instructor Clinic at Camp Perry, July 15, 2014, during the National Matches. The course is designed to prepare experienced rifle enthusiasts and instructors to conduct CMP-sanctioned clinics and matches at their own home shooting clubs or ranges. CAMP PERRY, OHIO – The Civilian Marksmanship Program (CMP) will once again offer free BB-Gun demonstrations at the 34th Annual Walleye Festival at Port Clinton’s Waterworks Park. Kids of all ages, including supervised kids under 18, are welcome to visit the CMP’s portable BB Gun range on the festival grounds and try their hand at some old-time marksmanship fun. CAMP PERRY, OH – In mid-April, Civilian Marksmanship Program (CMP) board members and staff sifted through a slew of CMP scholarship applications to determine which young scholar marksmen would receive CMP support for the coming academic year. After careful and considerate review, the CMP awarded monetary donations to over half of its scholarship applicants. ARCADIA, OK – Harold Pate, 52, of Ft. Worth, TX, put on quite a rifle marksmanship display in the military rifle portion of the 2014 CMP Games – Oklahoma, winning both the Three-Gun and Four-Gun Aggregate rifle championships and racking up a total of 10 Excellence-in-Competition points. DCC’s first-ever Air Rifle Club had a memorable initial year of competition. Team members competed in the American Legion 2013-14 National Postal Tournament, where one of DCC’s 4-member teams placed 16th out of the 44 schools entered in this national event. In the same competition but for individual scoring, another DCC team member placed 56 out of the 155 competitors, again quite an accomplishment for a first year Air Rifle Team, according to Head Coach Bernie Snyder. As a director and coach of a rapidly growing junior rifle team, I have been struggling to get equipment to suit all of my new shooters. During my indoor season, its easy enough to make ends meet with two different nights to split the team up. But with outdoor season upon us and 15 shooters moving to our outdoor 17 position range, we will have to find a way to get all of them shooting prone and I had only 6 mats on hand (5 shooters already had their own mats). Prone mats range in price from $70 to $120 + shipping. I had to quickly and economically get prone mats for all. Nick Mowrer, who is originally from Ramsay, Montana, has been one of our successful highpower service rifle shooters during the National Matches. Nick won the CMP’s National Junior Highpower Rifle Championship (Col. Bill Deneke aggregate; President’s, NTI, National Trophy Junior Team) in 2008 (1270-36X). After his junior highpower career concluded, he took up international pistol shooting and has trained as a Resident Athlete at the Olympic Training Center in Colorado Springs. CAMP BUTNER, N.C. – The Eastern CMP Games held at Camp Butner will again host a Small Arms Firing School (SAFS) and M16 Match for new and experienced shooters. A staple event at the National Matches in Camp Perry, Ohio, since 1918, over 80 students received classroom and hands-on involvement in a safe, fun and engaging environment for the first time at the 2013 Eastern Games, with even more expected at this year’s Games. LAYTON, UT; ANNISTON, AL; CAMP PERRY, OH – Setting even one National Record is an accomplishment that many shooters strive to achieve, but few are able to grasp. Though many are satisfied when they finally have their names added to the record books, for a certain young shooter at the second annual CMP Regional Championship, setting one record just wasn’t enough. Or two. Or three. The Junior Air Rifle Camps have been a staple in the Civilian Marksmanship Program (CMP) summer program lineup for over a decade. The highly popular camps and clinics train high-school age (9-12 grade) junior shooters on intermediate and advanced air rifle marksmanship skills through various exercises and demonstrations. The Woodstock Rifle and Pistol Club (#018011) held a CMP Rimfire Sporter Match on April 12, 2014. A team from the Proctor Fish and Game Club of Proctor, VT, took the high honors for the day. CAMP PERRY, Ohio – Those who have always wanted to try their hands at firing a real M9 Pistol in a safe and relaxed environment are encouraged to attend our Pistol Small Arms Firing School (SAFS), held Monday, July 7, during the Opening Day of the 2014 National Rifle and Pistol Matches at historic Camp Perry. CAMP PERRY, OH – Third time is a charm, or just another win, for Ozark High School, MO, which overtook the overall precision team title for the third consecutive year at the JROTC National Championship, held March 20-22 at the CMP Gary Anderson Competition Center in Camp Perry, OH. Team members of the Army unit, Robert Broadstreet, Benjamin Estes, Brianna Sawyers and Sadie Evans, fired a combined score of 4660-291x to best the field by a margin of 20 points. CAMP PERRY, OH – Looking out from the Civilian Marksmanship Program (CMP) Headquarters building during the first few frigid months of 2014, a parade of trucks and SUVs could be seen filling the parking lot of Petrarca Range, as a sea of people flowed from the vehicles. No, they weren’t shooters anxious to get the National Matches underway. A LURE more so than the ALLURE of Camp Perry brought a wave of fishermen, hoping to plunge into an ice fishing dream vacation in the frozen wonderland of Lake Erie. CAMP PERRY, OH – Top junior shooters from around the country will compete for the gold at the 2014 JROTC Three-Position National Championships, held March 20-22 at the new Civilian Marksmanship Program (CMP) Gary Anderson Competition Center. There, high school cadets from Army, Navy, Marine Corps and Air Force JROTC (Junior Reserve Officers’ Training Corps) units will meet on the firing line to complete a journey that has been months in the making. CAMP PERRY, OH – Eagle sightings have been known to be a common occurrence at the ranges of Camp Perry. While most are seen flying outdoors around the highpower ranges, sources say they may have recently spotted one inside the air range at the Civilian Marksmanship Program’s (CMP) Gary Anderson Competition Center – or, at least, an aspiring Eagle. ALBUQUERQUE, NM; ANNISTON, AL; CAMP PERRY, OH – Army, Marine Corps, Navy and Air Force JROTC units met on the firing line to compete in the 2014 JROTC Regional Championships the weekends of Feb. 14-16 and Feb. 20-22 to give their all and earn their places at the JROTC National Championships in March. 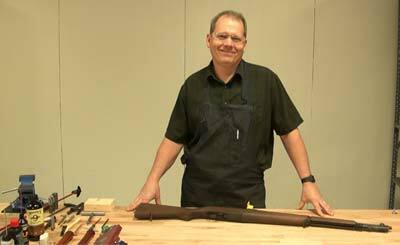 Registration is now open for the CMP’s online M1 Maintenance Clinic, for those wishing to learn more about assembly, disassembly, cleaning and other techniques used to ensure your rifle’s peak performance. The clinic will be the first live online class ever offered by CMP. CAMP PERRY, Ohio – The doors to the CMP North Marksmanship Center opened January 17-19 to a crowd that braved the snow and sub-zero temperatures to witness one of the most exciting CMP competitions of the season. Competitors and spectators traveled from around the country to take part in the dramatic finals the match promises and to observe the one-of-a-kind Super Final that can only be seen at the Camp Perry Open. CAMP PERRY, OH – For those who have never witnessed a Super Final, it can mostly be summed up in one word: FUN. But on top of that, it can also be described as chaotic, loud, surprising and, for the competitors, challenging. CAMP PERRY, OH; ANNISTON, AL – The Civilian Marksmanship Program (CMP) has added a new Monthly Match League to this year’s program, where shooters will have the chance to be ranked among Monthly Match participants across the country. The CMP Rules Committee has approved the 2014-2015 18th Edition of the CMP Competition Rules for Service Rifle and Service Pistol and the 2014 2nd Edition CMP Rules for CMP Games Rifle and Pistol Matches. This is the earliest the CMP has released a new version of the Rulebooks, which previously were released in March or April. In another major change, the CMP Rimfire Sporter Rules, which were previously in a separate rulebook, are now included in the CMP Games Rules. Dates and locations for the always-anticipated 2014 CMP Junior Air Rifle Camps and Clinics have been released. Registration will open February 3. Those interested are encouraged to register early, since camps tend to fill up quickly. Each year, the Civilian Marksmanship Program (CMP) conducts a multitude of events for young and experienced shooters, and many ask what they can do to give back to the organization. With CMP’s Planned Giving program, there are several options in doing just that. The GSM Master Instructor clinics educates advanced shooters and instructors and certifies them as Master Instructors who are qualified to teach specific marksmanship instructional topics using CMP training material and curricula. Certified instructors have the tools and know-how to teach basic and intermediate rifle marksmanship skills to new and beginning shooters in their communities. The Tracker Boat section of the Bass Pro Shop of Leeds, AL, has been an area of changing scenery over the last few weeks. At Christmas, the windows were frosted to create a Winter Wonderland where Santa listened to what children wanted underneath their trees. Then, a few days later, the windows were cleaned off and Santa’s house was moved to make room for the CMP’s mobile range during the 2014 Bass Pro 600 – held Saturday, January 4 and Sunday, January 5. Registration is now open for the CMP Games – Oklahoma and the Eastern CMP Games in North Carolina. The Oklahoma Games registration opened Dec. 2, 2013 and Eastern Games opened Jan. 2, 2014, with each remaining open up to the start date of the event. The CMP electronic mobile range has trekked across the South again to help support the Texas State JROTC match. Hosted by the North East Independent School District in San Antonio, TX, The All-Service JROTC State Championship saw 96 sporter and 37 precision competitors over two days and five relays. Many schools braved the icy Texas roads and weather reports of snow to attend the match. TALLADEGA, AL – The earth is moving on the CMP Talladega Marksmanship Park development in Talladega County, AL, as Phase 1 is underway. Six total D-8, 80,000 lbs. bulldozers, seven 40-ton dump trucks, four 20-ton excavators and three 40-ton pans have been recruited to move the 600,000 cubic yards of dirt from the hills of Alabama. Plans were approved in March 2012 by the CMP Board of Directors for the 500-acre marksmanship facility. The JROTC Three-Position Air Rifle National Championship kicked off in October with its opening Postal Competition, where cadets from Army, Navy, Marine Corps and Air Force JROTC programs submitted scores to the CMP to be compared against top junior shooters around the country. CAMP PERRY, OHIO – Looking back at our events in 2013, it’s pretty clear why the Oklahoma, Eastern and Western CMP Games were such a great success – the people who participate. Our competitors, volunteers and staff have made the Games Matches an enjoyable “go-to” event for many who have supported us in Oklahoma, North Carolina and Arizona. CAMP PERRY, OH – Applications for the annual CMP Scholarship Program for the 2014-2015 freshman college year are still being received for consideration. Applications have already begun come through the CMP doors, with the anticipation of many more arriving in the near future.